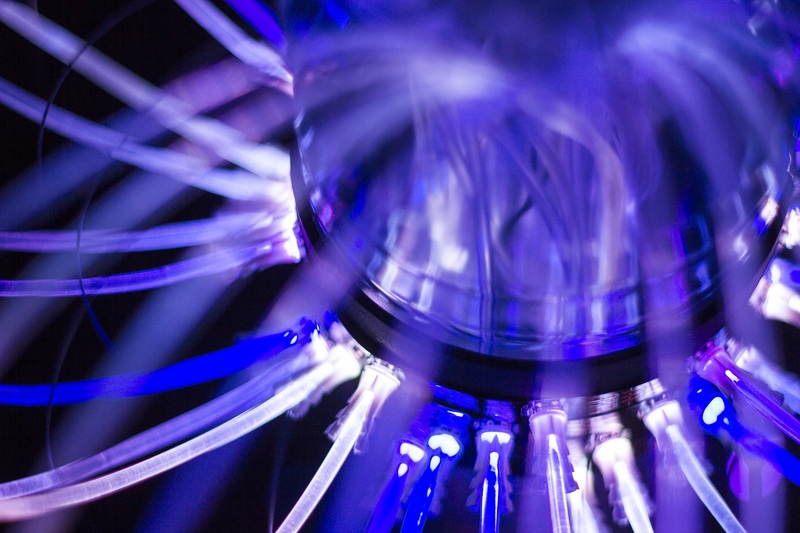 (2018) Interactive light and sound sculpture. 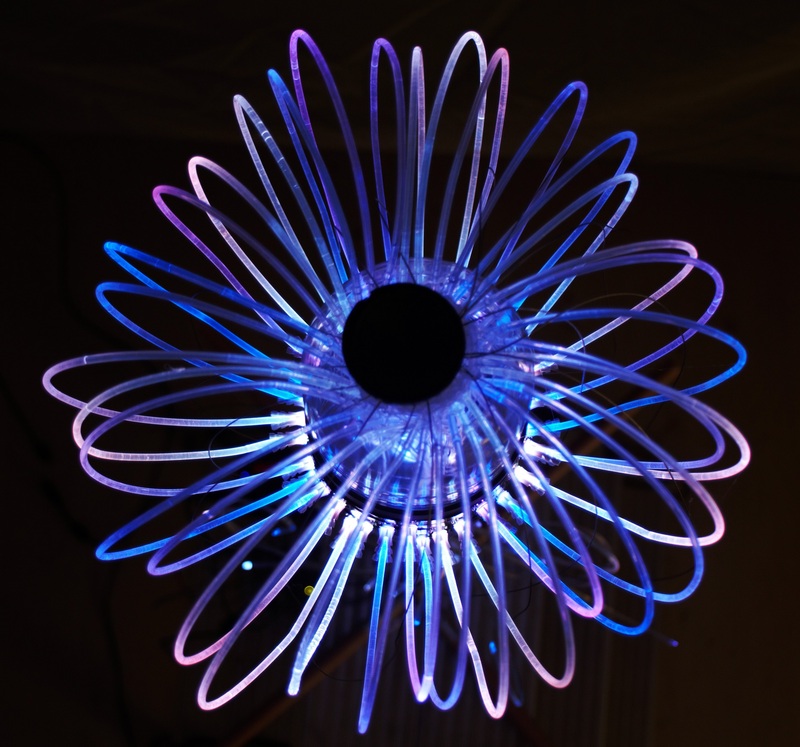 Plastic bottle, optical fibers, LEDs, wires, speaker, arduino, custom software. Following the excessive pollution of the oceans with plastics, a new species of mutant jellyfish appeared. 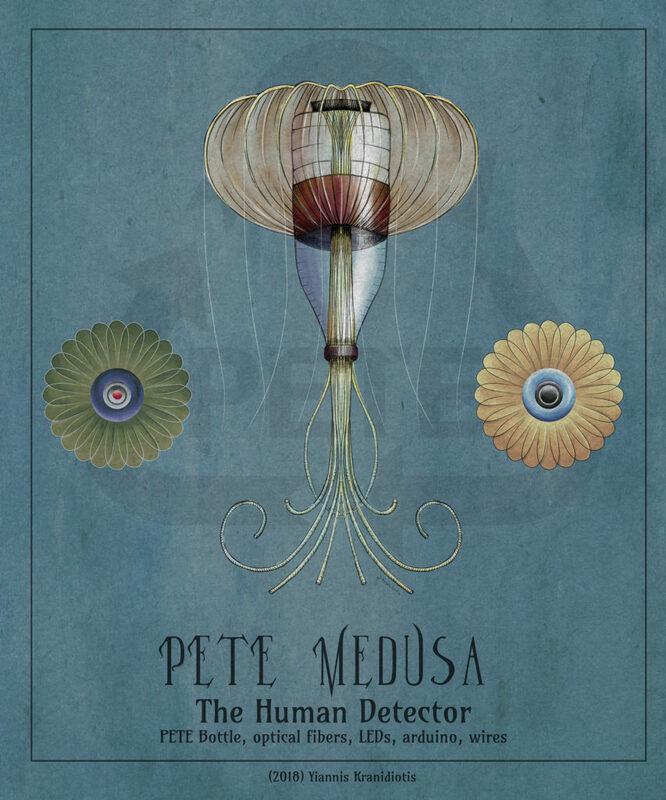 This new genre was named PETE Medusa, after the plastic PETE bottle of the torso. Scientists have found that many of the bottles that floated in the oceans, developed plastic tentacles and showed a sensitivity to human presence. 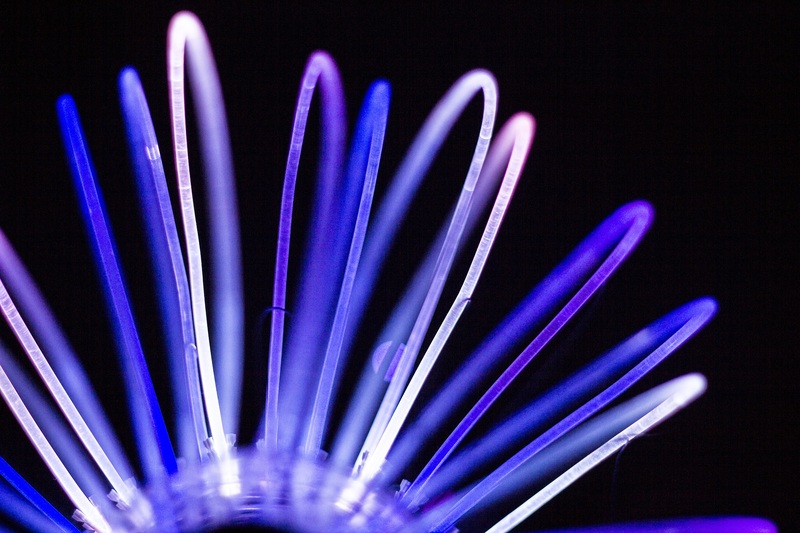 These tentacles are capable of detecting a living organism that approaches and emit luminous pulses. 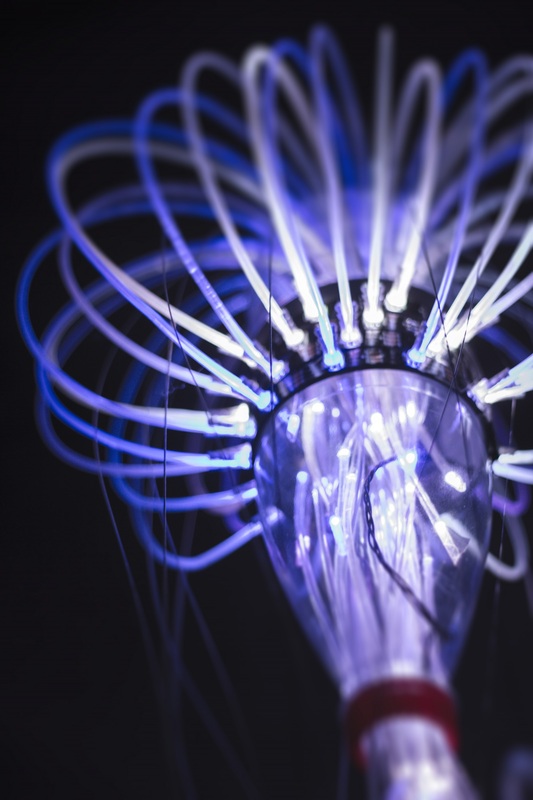 It’s impressive that many of these mutant jellyfish have also developed a tissue in the form of a basic speaker at the top, which is also triggered by the sensors in the tentacles and emitting sound signals. The sensitivity of these new organisms to human presence has alerted scientists, as many of them see it as a reaction of nature to its constant and irrational pollution by humans. 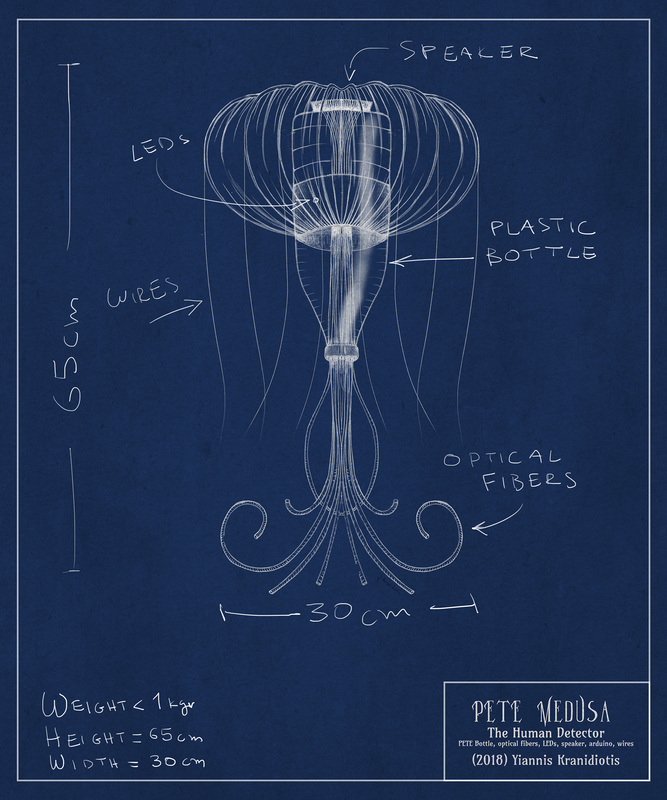 PETE Medusa is a fictional mutant jellyfish that is created with a common plastic bottle, plastic optical fibers, plastic LEDs and plastic speaker. It can been seen as a ironic and sarcastic comment on the pollution of the oceans with plastic bottles. 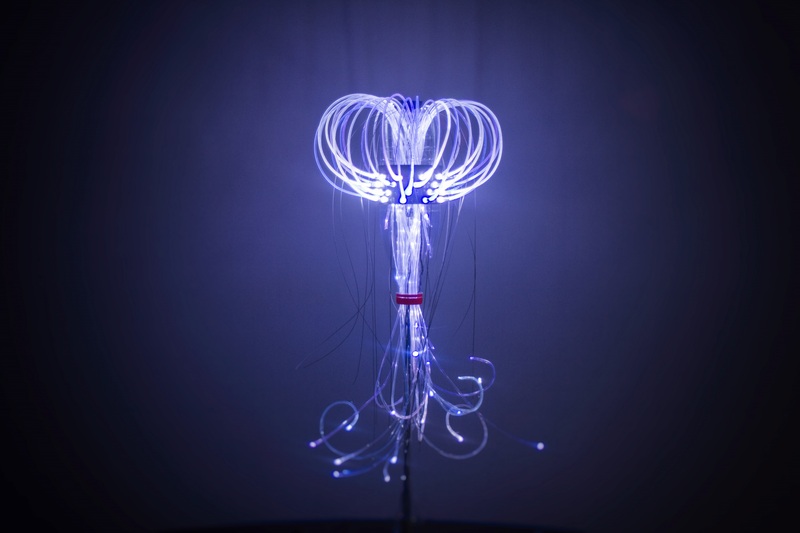 The interactivity of this sculpture (the reaction with sound and light to human presence) is a reference to a future reaction of nature in the environmental footprint of human kind on the planet. The sound of the sculpture is similar to the sound of a Geiger counter, an instrument used for detecting radiation. Are humans finally a bigger threat than a nuclear disaster?